I have read several memoirs lately, and wanted to do some quick reviews! See all those stickers on the image of the cover? This book won SO many awards. It is beautifully written and so moving. It is written in verse and every word has been chosen with intent. It succeeds in every single way. This is a absolute must read for everyone. Lea Michele is one of the hardest working performers in show business. Whether she’s starring as Rachel Berry on Glee, rocking a glamorous look on the red carpet, recording her solo album, or acting as the spokesperson for L’Oreal, Lea is the ultimate multi-tasker. She knows better than anyone that it is difficult to be your best self and keep things in perspective when your to-do list is overflowing and you are faced with challenges, so she’s developed a foolproof system for remaining healthy and centered. In Brunette Ambition, she reveals the lessons and advice that have worked for her–from beauty and fashion secrets to fitness tips, and career insights. Supplemented with never-before-seen photos and revealing anecdotes, it’s the book Lea wishes she’d had in her teens and early twenties: A practical and inspirational guide to harnessing tenacity and passion and living the fullest life, no matter what obstacles life puts in your way. As a huge fan of Glee, I knew I had to read this book (I am so going to cry during the series finale tonight!). It is part memoir, part advice book, part recipe book, and part inspirational. It balances all of those parts really really well. When I finished reading it, I was motivated to take care of myself, have more confidence, and try some new things. I have kept it up for a couple weeks now. It is sticking and I am feeling great. It was the perfect book for when i read it. Martin Short is one of few celebrities in show business who has continually worked hard, found success, and kept his personal life intact. His memoir is a reflection on his diverse collection of experiences, both hilarious and heartbreaking. Short takes us through his career, from his early years with Second City Toronto and Saturday Night Live to his movie stardom. He recalls how he developed some of his enduring characters—manic man-child Ed Grimley, slimy lawyer Nathan Thurm, and the large and bizarrely insensitive Jiminy Glick. Here, too, are his television appearances, from How I Met Your Mother to his Emmy-nominated role in Damages, as well as his stage productions, including his Tony Award-winning performance in Little Me. Throughout, Steve Martin, Tom Hanks, Nora Ephron, Frank Sinatra, and others friends and colleagues share the spotlight. This deeply private man brings us into the circle of his family life, from raising his children to the legendary parties he and his wife have hosted. He recounts the pain of losing a brother and both parents by the time he was 20, and of the devastating death of Nancy, his wife of thirty years, in 2010. Despite the hardships, Short’s life has been full of laughter, and he remains perennially upbeat. In this wise and entertaining memoir, he shares his irrepressible joy. This is one of the better celebrity memoirs I have read. It is funny. It is heart breaking. It doesn’t gossip about other celebrities. Overall, it is just a read that will make you feel like you know Martin Short more. And you get to find out that Tom Hanks and Rita Wilson are just as wonderful and you could hope. 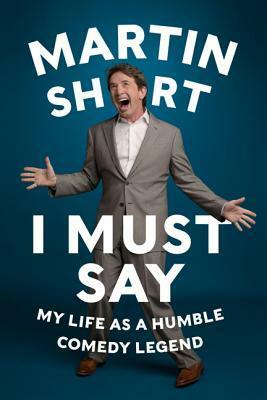 If you like Martin Short at all, you should read this book. I wish i had listened to the audiobook, since I have heard it is even better since Martin reads it. These books are some of the most read books in my husband’s middle school and I can see why. They are action packed, they are funny, and they are just so great to read. So many people read because of these books. This is right up there with the rest of the Heroes of Olympus books. 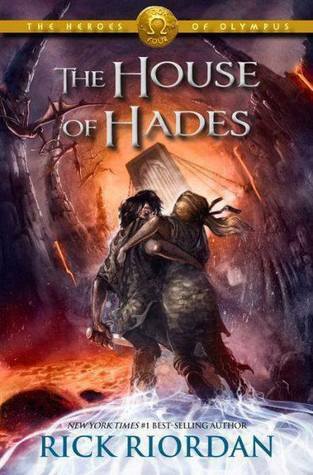 i like this series even more than the Percy Jackson series, there hasn’t been a dud yet. I still have the same favorite character, but I think everyone got a little more depth in this book, which make me even more excited to read the final book in the series. I am glad I waited to read this book until now, because it does not end in a nice little bow. I bet I will read the last book pretty soon. If you have never read a Rick Riordan book, i think you should. They are do much fun and show great middle grade writing. Ha! Take THAT Top Ten Tuesday season reading lists. It tok me FOUR lists, but I finally read this book! And it was SO good. I think this is one of the most fun series. The characters are funny and brave. The plots are getting better and better. The writing is accessible and fun. How many kids now love reading because of these books? If I knew any reluctant readers, I would give them the books by Rick Riordan, and I bet they would be hooked. Did you read that summary from the publisher? 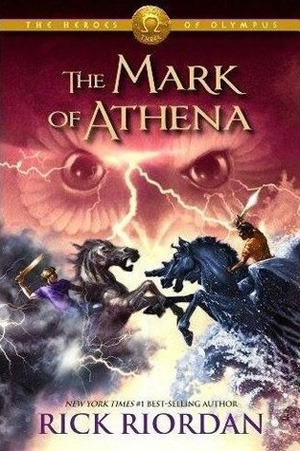 It focused on my favorite character, Annabeth. It isn’t just her story (there is plenty of Percy and Jason being funny, heroic, and sometimes not so smart), but her story is a big part of this book and that is part of what made this particular book awesome. All of the demigods have interesting problems and struggles and really getting to see Annabeth’s side of things, especially some of her frustrations. Watching Percy and Jason trying to interact with each other was….interesting. They are used to being in charge and being the alpha, but they have to try to actually work together and it doesn’t always go so well. 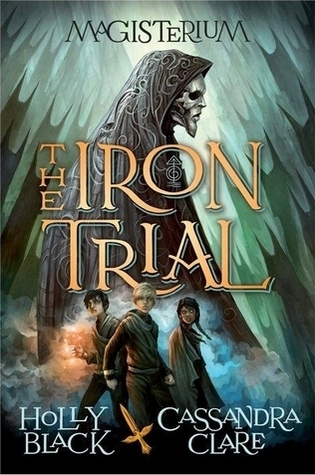 If you are looking for great middle grade, you really should pick up Rick Riordan’s books. Let’s hope it doesn’t take me a year to read the next one. This book made me think of Harry Potter in the best possible way. I have heard some think it is too similar, but I have to disagree. Yes, there are similarities, but it is mostly just because they are both hero journeys, like so many great books are. This magic school was VERY different than Hogwarts, and I really liked it. While you read it, you will be able to picture every twist and turn in the caverns and want to explore. This book took me far longer to read because I just let me imagination run wild. The characters are wonderful – no one is quite what they seem, since the characters have so many layers. These characters are not stereotypes, they have real insecurities and histories. They make the book worth reading. There were so many cool things about this book that I can’t even come close to listing them all. 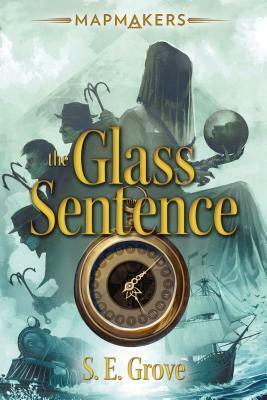 If you are looking for a book that will give you the wonderment and feeling or Harry Potter, look no further! If you like Rick Riordan and are looking for more books with mythology set in today’s world, look no further, especially if you are interested in Egyptian mythology! You should be interested in Egyptian mythology because it is really awesome. The concept is really cool. King Tut did not die, but was made immortal. The problem? He is stuck as an eighth grader forever, so there is so much he will never experience, including high school. He doesn’t have many friends, since he nevers ages and moves around a lot. Sometimes, he doesn’t even go to school. But being immortal isn’t all bad. He lives with his mentor Gil and a cat, that isn’t really just a cat. There is magic, adventures, and learning whatever he wants to. That isn’t much of a story though, and the Cult of Set is after him along with the person who originally murdered him, because of course he isn’t dead either. There are so many great side characters on both sides of the battle and so much action that it was hard to put down. 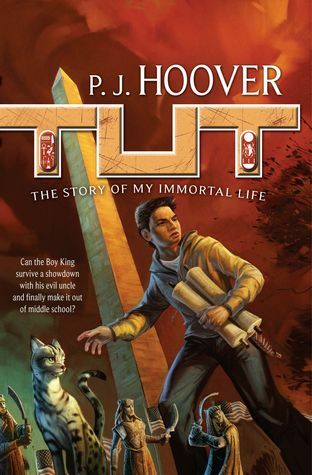 If you are looking for a great middle grade novel with good characters, an exciting plot, and lots of information on Egyptian mythology, this is a book for you! 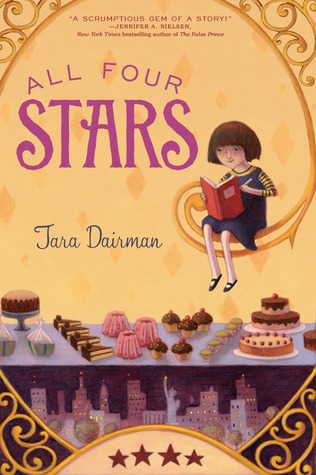 This is a cute middle grade novel that will make you want to rush into the kitchen – or make reservations and a nice restaurant if you are like Gladys’ parents. The plot is cute, but there is a little too much sneaking around and using people for my taste. She learns from it and makes up for it a little, but reading this as an adult, I wanted there to be better choices. It doesn’t help that her parents don’t seem like characters, they feel like caricatures of parents that don’t cook. Some of the other adults are better, but not much. It pulled me out of the concept too many times. The main character is bright and inquisitive, which really makes her shine. Reading her reviews is a lot of fun and that was my favorite part of the book. It also made me want to go cook and bake more! Overall, it is a fun book and great for young want-to-be cooks and critics. I have heard so much about this book and am going to LeakyCon in less than a month, so i wanted to read some Holly Black books and my library had this one! If you pick it up, stick with it through the first few chapters. Both my husband and I thought it started really slowly. He gave up, but I went on with it and am so glad I did! While that wasn’t my experience, I think it was an experience a lot of kids have when they can;t just play anymore, hormones kick in, and their friends move into different cliques and apart. Holly Black just seems to get that. 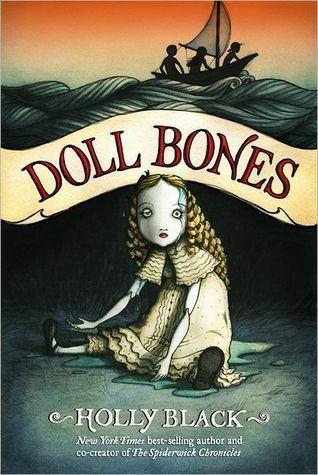 But it isn’t just a coming of age story, it also a creepy adventure that every kid dreams of. Loved every moment of that, especially when they complained about all the walking. This is a great book and I understand why it has so much acclaim. Jackson Greene swears he’s given up scheming. Then school bully Keith Sinclair announces he’s running for Student Council president, against Jackson’s former friend Gaby de la Cruz. Gaby wants Jackson to stay out of it — but he knows Keith has “connections” to the principal, which could win him the presidency no matter the vote count. I am trying to read as many Leaky Con authors I can before the conference at the end of the month and i knew I had to try this book. Not only did it sound awesome, but I love that the cover shows diverse characters! It is great that we are talking about diversity in books, but we need to actually read and support the books that are diverse. And I really support this book. You should go out and buy a copy because it is so much fun to read! These kids are smart, funny, insecure, and completely realistic. i liked that the book didn’t center around the jocks, but didn’t make it like no one liked these main characters. They were your normal kids who liked art, games, tech, and sports. They were not stereotypes at all which was fantastic. So many of the staff felt just like school staff when I grew up. There were some really nice secretaries, and one who was REALLY racist. She thought all Asian kids were the same kid and said things like “kids like you” to the protagonist. It was hard to read, but it was accurate. There are people like that and it is a struggle kids have to deal with every day unfortunately. Overall, this book was great. The heist was incredible. The characters were awesome. I even loved how they kids had parents and interacted with their parents. I understand why so many books leave the parents out, but it is a really important relationship and it was great to see. When I first started the book, I was a little confused. I actually had to check online to make sure it wasn’t a sequel, since it kept referring to things that happened last year. It wasn’t a sequel and more information comes out, but it was confusing at first! 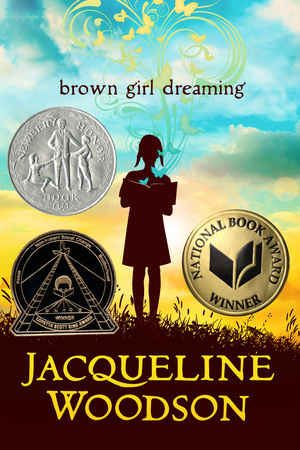 This is a great book that I would give to any middle grade reader I know. There really is something for everyone! How did it take me so long to read this book? EVERYONE needs to read this book. I mean it. Every single person should read this book, especially students and parents. I went into this book just knowing it was super good, sos I am not spoiling anything for you (but if you want to talk about things that spoil things, feel free to in the comments. This is a warning to all those that haven’t read it yet). But I will say this – the characters are amazing and complex. They feel SO realistic. I know kids like all the kids in the book. They talked like kids. They acted like kids. Some are good, some are bad, but most are just trying their best to get through the day. I am seriously in love with this book. It is one of my favorites, not just of the year, but ever. 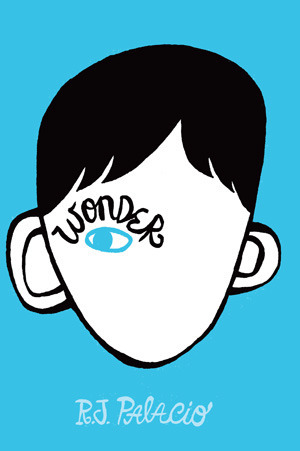 I have heard kids are reading it for school which makes me so happy. If we could all learn from this book, especially when we are young, this world would be a much better place. Did you read and love this book too? Let’s talk in the comments! There is an incredible amount of imagination that went into this book. I actually stopped reading many times to sit and think about each region of the world in the different times, the animals, and the culture clashes that are constantly happening. This book is worth reading just for the world building. There is a map at the beginning of the book. Usually, I ignore maps. It isn’t really something that interests me. I went back to these maps several times to see where they were and what might happen. It actually got me a little excited about geography, and that is not something I am interested in at all. It helps that there is an incredibly well-paced plot and some great characters. It is a long book, so it is hard to read all at once, but readers will be so tempted. I don’t want to say too much about the book because not knowing made it better. Even small spoilers will make readers miss out on discoveries and wonders. Just know if you are looking for a middle grade book with a lot of adventure, really smart characters, and quite a bit of fun, pick up this book. It will bring out the explorer in us all.